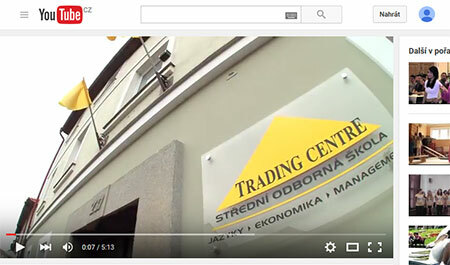 Pondělní výuka s Danem je zpět | TRADING CENTRE s.r.o. "This Monday was so much fun for me. Dan came after the Christmas break to teach us again. First, he gave us our nametags and then the was telling us about his experiences with Christmas celebrations. We were talking together about music in this class. It was pretty funny because music is my favourite theme. We were asking each other and had a lot of fun. We are so happy that we have experience like this. Speaking with a native speaker makes us learn a lot. Thank you, Dan, for visiting our school.